Earlier this month, Garry Newman shocked many when he revealed that his company’s game had been refunded on Steam a whopping 329,970 times. This amounts to almost $4 million in revenue, which no matter how you look at it, is a pretty big deal. 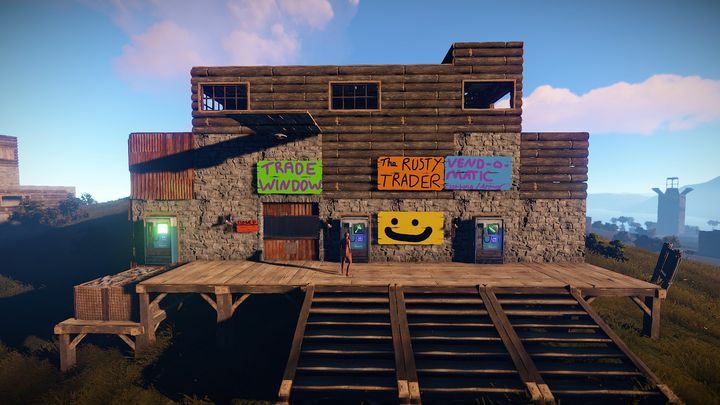 The game that has been the object of so many Steam refunds is Rust, an open-world survival video game that hit Steam’s Early Access program in late 2013. Games on Early Access are still in development, and users buy with the knowledge that they will be getting an incomplete game that’s going to be updated on a regular basis. This may have been the reason why so many who bought the game on Steam have applied for a refund, as the game’s incomplete status and the fact Rust is undergoing daily changes now might have left quite a few unsatisfied with Facepunch Studios’ open-world title. Another explanation is that since Valve (the company behind Steam) brought full-fledged refunds to the platform in 2015, people might be putting less forethought into deciding what games they are going to buy, knowing they can always request a refund if their purchase ends up not being their cup of tea. This is one side effect of Steam refunds, and has led to games such as the recently released Prey not having a PC demo at all. Actually, Ralph Colantonio of Arkane Studios said the reason why Prey would only be getting a demo on consoles is that “Steam players can just return the game [prior to playing] 2 hours so it’s like a demo already”. And another consequence of Steam refunds is Valve’s doing away with Flash and Daily sales, something that many gamers might miss now that the Steam summer sale is raging on. But still, it’s clear that refunds have been a godsend for many, allowing you to buy games with no risk. After all, sometimes games are released in a less than pristine condition on PC. Examples of this are the likes of Batman: Arkham Knight, which had a notoriously buggy launch on PC with publisher Warner Bros. even encouraging users to take advantage of Steam refunds and get their money back, and also Assassin’s Creed Unity, which did not enjoy a solid PC release either. Steam refunds are likely doing more good than harm to developers of PC games too, helping build confidence in PC digital purchases and allowing game makers like Rust creator Facepunch Studios to enjoy multimillion dollar sales on a yet unfinished game, despite the fact that Rust has been refunded quite a few times on Steam to date. And this can only be a good thing for both PC gamers and those who work hard to release video games in today’s competitive market, no doubt.